Tortoise came to see me. He is so sweet, he brought me stuff for my new place.I guess it was a roof wetting or house warming party since the last time he was there, remember,when he was brutally honest about his opinion of it? He brought me a nice and comfy rug, which I greatly needed. It's the comfiest rug you will ever own! It has memory foam. Mhhh, perfect for my on and off (American translation: Off and on or On again, off again :)) heel spur; at least I didn't have rude awakenings every time I got out of bed. 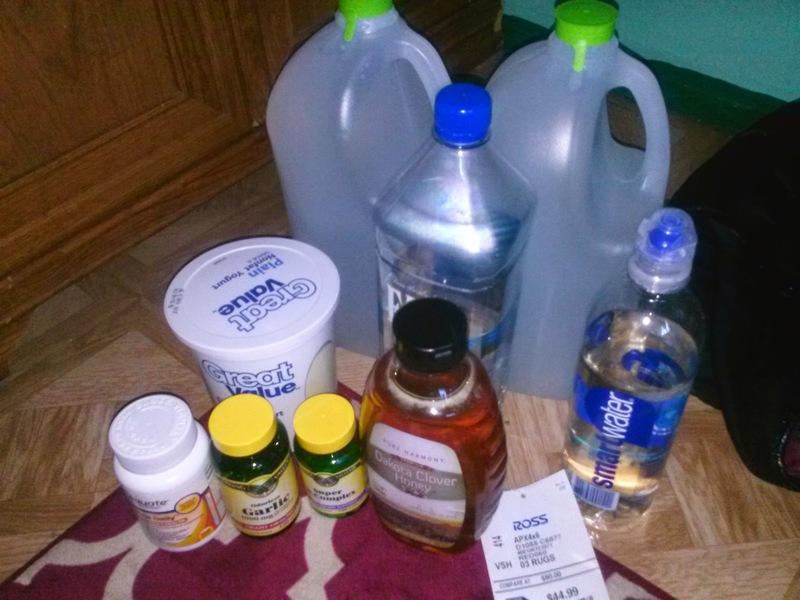 He also brought me stuff like Green tea, Apple Cider Vinegar, multivitamins and tons of bottled water oh and a nice pillow. He heard me say that the one that came with the apartment wasn't doing the trick, he told me he had a spare one at his place. That was so thoughtful of him. I was humbled by his generosity. That's everything, well some of the tings Tortoise brought me. Nice, huh? One night, while sound asleep, I felt something taking a stroll right across my face. I was so tired, I slept with my mouth wide open, probably snoring. The thing felt gigantic! I hit it off my face, away from the mouth. Back off from the hole! Double you Tee Eff! 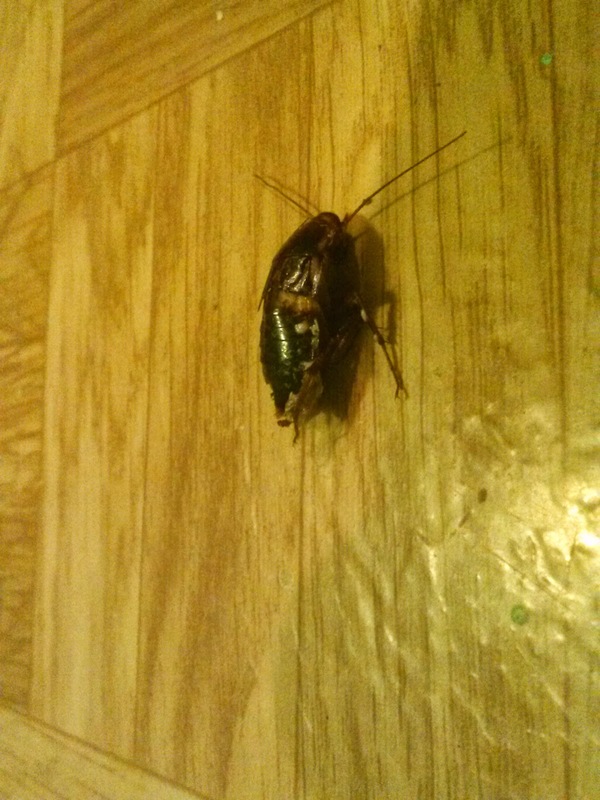 I head the sound as it landed on the floor. F*ck me! What could this creature be that has invaded my new home? Am I safe here? Do I want to stay here or should I keep looking? I got out of bed, hoping not to step on it, or worse... bump into it! Sh*t, I don't know how big the thing was, or tall. It could be taller than me for all I know! I am not familiar with desert creatures. Plus, this is Vegas, What happens in Vegas, stays in Vegas, who know what had happened and what someone left behind, could this be what ended up on my face, headed for my mouth? I turned on the light, freaking out like hell! It was a gigantic Roach. The desert type. I'm not talking about a cockroach, the small ones that multiply in milliseconds, I mean the great-grandfather of that entire village of cockroaches. After I murdered it a gazillion times. I quickly grabbed the broom, I aimed, broom in hand, karate stance, eyes about to pop out of my head. The thing shot straight for me, Fuuuuuccckkkkk! I ducked and dove, and jumped onto the bed! God love my neighbors, they must have wondered 'the fck is that big mamma doing over there in the middle of the night. I'm tryna sleep damnit, I lost all my money in the casinos, I need to regroup.' My bad, yall! Roach Attack! I got on the bed and with broom still in hand and karate stance. I never wished I had a gun more in my life. I wanted to shoot the nerve to chase me around in my own home out of that sucker. I jumped back down, looked for the roach again. It went under my bed. NOOOOO! Not under the bed! How am I going to go back to sleep? I had to move the bed. Sorry neighbors! I finally got it and killed it a thousand times. I had to make completely sure it was dead! Then I killed it again! Tort was nice enough to bring a gallon of bug spray along when he came to see me one time, he sprayed all over my place, after I told him about my horrendous ordeal. Sweet guy! Tort brought his guitar and a bottle of wine when he came over. Did I mention he brought his own chair to sit on as well? Yup! A fold up chair, red in color. He set it up, moved sht around my apartment, opened up his guitar case, put it in the middle of the room, had his lyrics on there somewhere, opened up the bottle of wine. 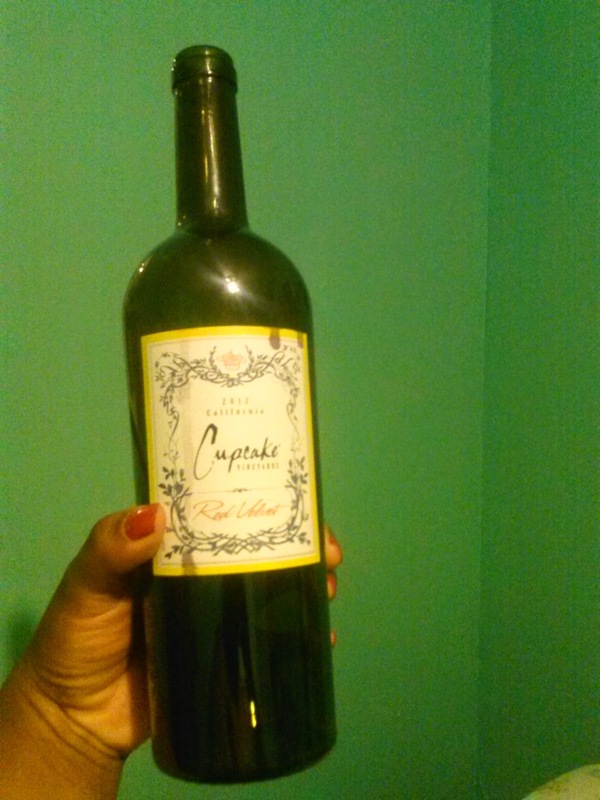 It was red velvet wine. I didn't know they made that flavor. Red Velvet is my favorite cake, I had mentioned this to him prior, I guess that's where the inspiration came from for the vino. Unfortunately for him, I don't drink alcohol and to the surprise of everybody who knows me, I'm not drunk haha. He had to drink alone, my bad! He sang the blues while drinking his red velvet wine, strumming away on his blues guitar. It would have been nice if we were in a bigger space. My studio apartment was too small for that, the neighbors and landlord were too close for comfort. It was just not the time or place. I didn't expect him to show up with a 6 piece band and set up in my studio! He told him to sing backup, I guess we were rehearsing. Someone didn't get the memo (pointing at self). After what felt like forever, Tort left, I gave him a hug, thanked him for everything and wished him well. 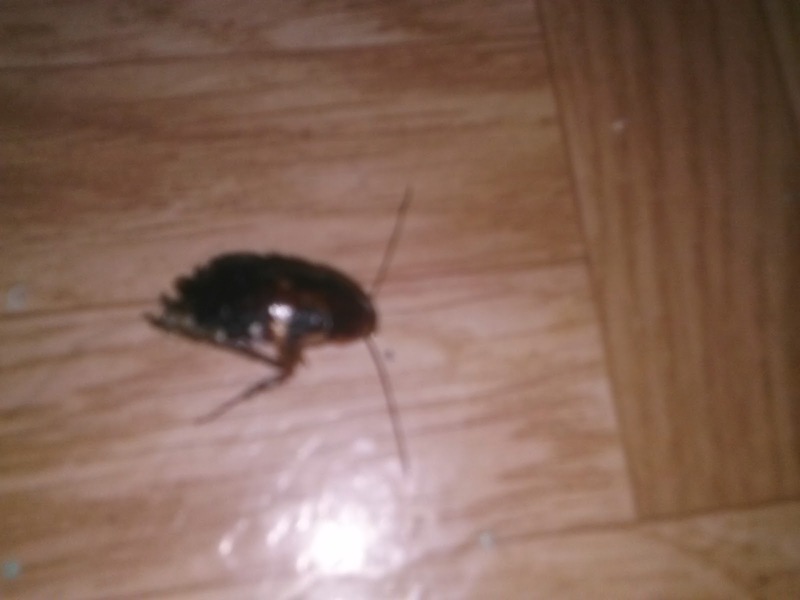 That's a huge cockroach!!!! Kind of Tortoise to bring you those things. Lol the rug is bigger than it looks? Lol I even zoomed in on the picture. Still looks the same size. But it's a cute rug. And it's the thought that counts not the size of the rug. On another note; have you been checking in on "Every body hates Chris" to see if your stuff is still safe. It was a ginormous one! Yes, shame, it was really nice of Tortoise, so thoughtful. 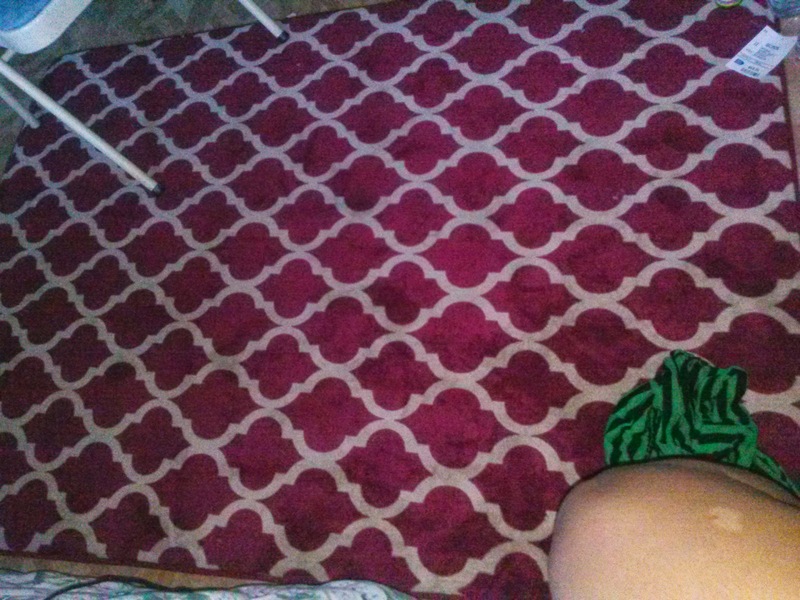 Lol, in real life the rug is bigger, like, it's as long as I'm tall, I don't think that shows in the photo. I had been hearing from Chris, every so often, he still had my stuff, thanks.